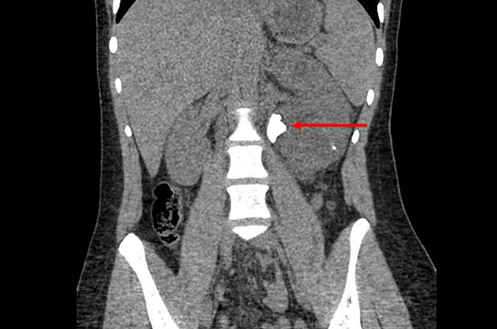 Kids can get kidney stones, just like adults. Once thought to be mostly an adult disease, these pesky pebbles are being found more and more in children. In fact, the incidence of kidney stones in kids is increasing even faster than that of bronchitis and appendicitis*. While we don’t know the exact reason why kidney stones are forming in children more often, the increase in kidney stone rates in kids has paralleled an increase in average body mass index (BMI), and some studies suggest a correlation with poorer diet**. 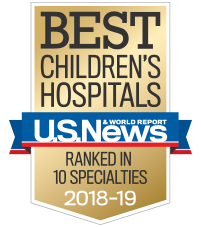 “At Children’s Healthcare of Atlanta, we see an average of more than 150 patients with kidney stones each year, ranging from 1 month to 17 years old. Recently, we’ve also started seeing patient volumes spike during the summer as temperatures in Georgia rise,” says Michael Garcia-Roig, MD, Pediatric Urologist. What exactly are kidney stones? These small, solid masses can develop in the urinary tract when the salts and minerals that make up our urine become extra concentrated and form crystals. Over time, these tiny crystals can build up and become larger kidney stones. Most kidney stones are made up of calcium, but they can also more rarely be made up of other things that exist in urine, such as amino acid, uric acid and struvite. Learn how you can help protect your child’s kidneys below. Over time, these tiny crystals can build up and become larger kidney stones. How do you know if your child has kidney stones? Kidney stones tend not to cause discomfort when they are forming in the kidney. It’s when they are making their way out of the body that they can really cause problems. Common symptoms include severe and sudden back or belly pain, bloody urine, vomiting or needing to urinate in a hurry and often. If your child has these symptoms, they should be evaluated by a doctor. The visit will likely include an ultrasound or CT scan, as well as blood and urine tests. How can your child be treated for kidney stones? There are a few ways to treat kidney stones. Unfortunately, we don’t have a way to dissolve them just yet. If the stone is found by accident during a test for another reason, it’s recommended that you talk with a pediatric urologist or kidney surgeon about different ways to manage it. If the stone is in the process of passing, your doctor may recommend letting the body pass it on its own with the help of special medicines. These medicines help ease pain and relax the muscles in the ureter, making it wider so that stones can pass through more easily. Drinking lots of water will also help your child push out a stone. Once the stone has made its way out, your child’s doctor will want to examine it to learn more about its consistency. To help catch the stone, your child will be asked to urinate through a straining device. If the stone gets stuck or is too big to pass on its own, your doctor may recommend treatments to break down and remove the stone. The amount of time it may take the stone to pass will vary based on the individual, stone size and location at diagnosis, with smaller stones that are farther along being more likely to pass on their own. How can you help prevent your child from developing kidney stones? An unhealthy diet can also contribute to kidney stones. Cutting back on foods and drinks that are high in sugar, caffeine and salt can help lower your child’s risk of developing kidney stones. While this may sound contradictory, given that most kidney stones are mostly made of calcium, it’s important for your child to eat a diet with a healthy amount of calcium. If your child is not eating enough calcium, the body will release more calcium into the urine. It's not always possible to prevent kidney stones, but it’s always important to make sure your child is drinking enough water and eating a healthy diet. If your child has had kidney stones in the past, it’s important to see a pediatric urologist to be evaluated for future risk. If you have any questions about your child’s risk for developing kidney stones, talk to your doctor to learn more about how you can help protect your child’s kidneys.